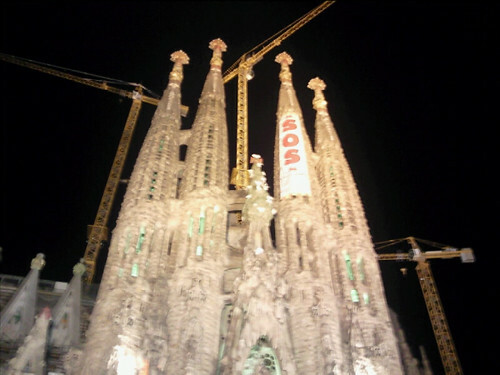 One of the city’s top attractions is the Sagrada Familia which has been under construction since 1882. The Catalan architect Gaudi worked on the project from 1883 until 1926. You can spot Gaudi’s influence all over the city, for example lamp post designs and the gigantic fountain in Parc de la Cuitadella. The Picasso Museum offers a fair sized collection of the artist’s work. National Museum of Art of Catalonia is housed in the National Palace built for the 1929 World’s Fair. Football fans can go on the Barcelona FC stadium tour. It’s the 3rd largest football stadium in the world and you’ll have the opportunity to visit the dressing rooms, the players bench and the VIP seats. There are numerous Barcelona markets, I’ve been to La Boqueria for food shopping but evidently Sant Antoni is bigger and more authentic. The largest flea market is Mercat del Encants. There are plenty of Barcelona attractions for families too, such as Barcelona Zoo and Barcelona Aquarium. The Barcelona Card includes free public transport and discounts at various museums, shops and restaurants but first do a quick calculation to check that the card will be a worthwhile investment for the activities that you plan to do. My favourite activity was the Barcelona Segway Tour through the Gothic Quarter and along the seafront. It’s quite easy to get the hang of segwaying, you lean forward to go forward, lean back to reverse and stand straight to brake. 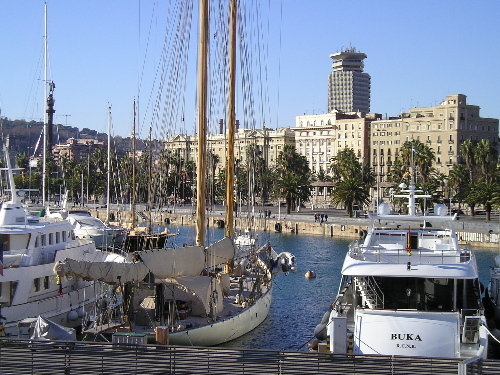 Barcelona hosts many festivals through the year. The Sonar International Music Festival, one of the largest electronic music events in Europe runs 17 – 19 June 2010. Festes de la Merce always takes place on September 24 in honour of the city’s patron saint. The Barcelona International Gay & Lesbian Film Festival is on between 15 – 24 October 2010. Las Ramblas is a very popular stroll for visitors, stretching for more than one kilometre from Plaza Catalunya to the seafront. It was a bit too touristy for my liking, even on a weekday in mid December. There were lots of souvenir stalls and artists drawing caricatures. A warning – be very, very aware of pickpockets as they are amazingly sleek and competent in their trade. If by any chance you have the time or inclination to venture beyond Barcelona, I’d recommend Girona or Montserrat as day trips.